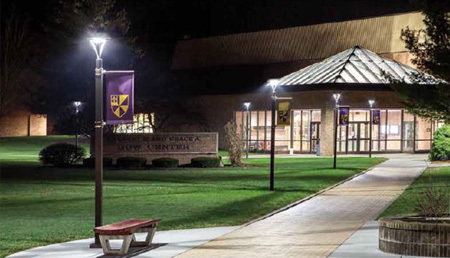 Schools | Commerical lighting services with Parker Lighting, inc. 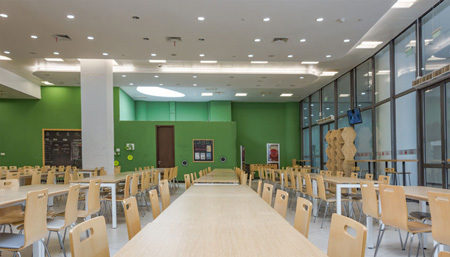 Visual comfort, classroom clarity, and efficient lighting are of absolute importance when it comes to finding the right lighting fixtures for educational institutions. Lighting is proven to affect concentration, and finding the right lights to ensure students’ ability to focus can seem like a daunting task. Cost is a major emphasis when it comes to lighting such institutions and things like LED lighting systems and occupational sensors help ensure that no more energy is being used than needed, when needed. Our work can be seen all across Southern California as we’ve been lighting suppliers for numerous campuses and districts. Efficient lighting for schools is something we’re very, very familiar with. As an example, Parker Lighting Inc. helped save the El Segundo School District over 50% of their energy usage. This was done by installing lamps and ballasts that last up to 100,000 hours with retrofit induction lighting. We have also provided lighting consultation for numerous community colleges, most recently Riverside City College. For this job, we were able to look at the available blueprints and develop a lighting strategy that works within the school’s budget to be efficient and effective for their needs. 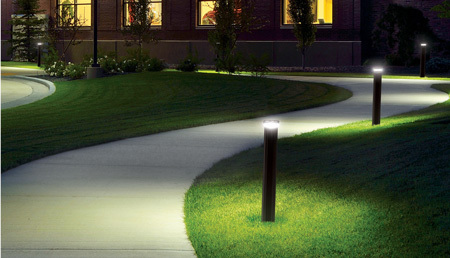 Lighting solutions take a lot of work and a vast catalog of knowledge to do well. Entrance halls, corridors, staircases, classrooms, labs, outdoor and dining areas all require different set ups and fixtures when it comes to properly lighting said areas. Education institutes also include buildings like libraries and gyms where late hours constitute a demand for efficient lighting systems. 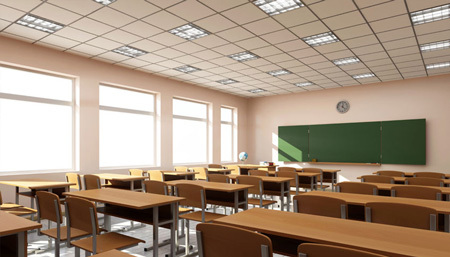 A comforting, consistent learning environment will produce better results for students and faculty – so trust the experts from Parker Lighting, Inc. to procure the right products for the job. We have a long history of work with facilities managers, non profits, and contractors in lighting services for our proud educational institutions. Let us help illuminate the future!